There is something about live music that moves us in a way that no recorded volume ever could. The first beat of the drum, the first notes reverberating through the silence inspire the heart to swell and grow until we cannot help but smile, sway and then dance to the sounds swirling around us. If you are a live music junkie like I am, you are always chasing that feeling of the percussion beating inside your chest as fluid sounds of guitar, piano or vocals wash over you. Add to that award-winning champagne and a gourmet meal that will blow your mind and you have Thornton Winery’s 23rd Annual Champagne Jazz Series. 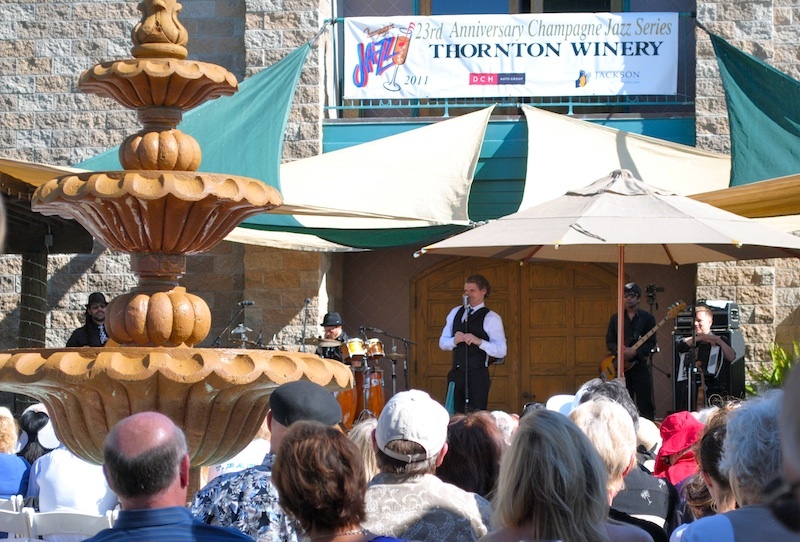 Now my love for live music is only slightly surpassed by my passion for exceptional food and wine, so I readily accepted Thornton Winery’s invitation to attend the opening day of the jazz series along with several media friends. 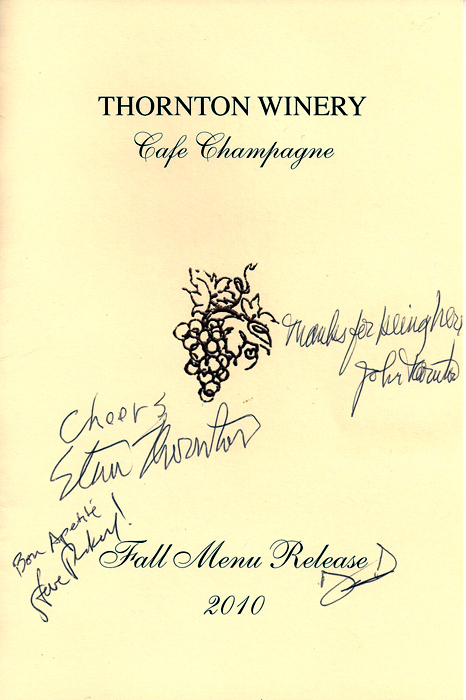 The Thornton family is clearly passionate about their trinity of excellent food, wine and jazz. Owners John and Sally and son Steve, President of the winery, enjoyed the day right along side their guest and their presence brought an extra bit of excitement to the gorgeous fountain terrace. 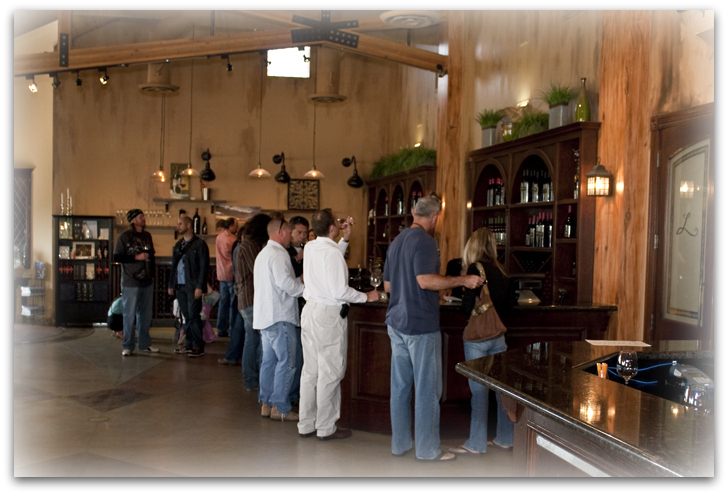 With the French Chateau-style winery as a backdrop, the terrace has an intimate, old world feel and is the perfect venue for live music. 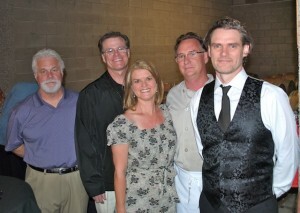 Opening day was a huge hit with a stunning performance by Jesse Cook. Known for his fiery percussive guitar and talent for fusing his music with styles from all around the world, he delighted the audience with favorites from albums past and new hits from “The Rumba Foundation.” A true performer, he alternately impressed us with his lightning fast finger picking and remarkable percussive techniques then charmed us with tales of home life and travel in between sets. The concert series continues through the fall and the line up includes some amazing talents: Dave Koz, Herb Alpert, Boney James – the Thornton’s are not fooling around! While the series offers tickets to the concert “a la carte,” I urge you to enjoy the Gourmet Supper option. Including shaded seating (you know you will thank me for this tip as the Temecula summer progresses). 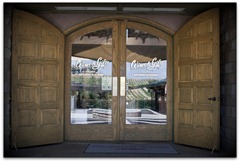 In addition, you will be treated to a three course dinner designed by Cafe Champagne Executive Chef Steve Pickell. With Cafe Champagne since 1993, Pickell is a master of Contemporary Fusion Cuisine, matching fresh, seasonal ingredients with his creative vision to produce thoroughly inspired dishes. 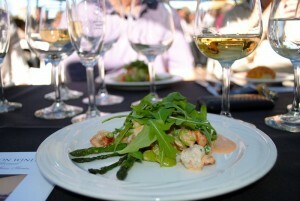 Our experience included Asparagus, Fava Bean and Rock Shrimp Salad with sweet pepper citronette. The bright, fresh flavors of the salad and smokey notes in the dressing were perfectly paired with the 2009 Viognier: lush with flavors of ripe peach and honeysuckle and a balanced acidity to lighten the palate. What about the champagne you ask? Ah yes, let me back up a step. We did indeed enjoy one of Thornton’s five Methode Champenoise sparkling wines. It would be rude not to! 🙂 These beauties have been winning awards for decades, and promise to continue that trend for decades to come. Fairly new to Thornton, Winemaker David Vergari just bottled the first round of tirage on his watch and is excited to see the results as it matures into champagne. After making wine for years: from Napa, to Europe, to his own label, Vergari believes that the vineyard matters and focuses on making exceptional wines from grapes that naturally grow well in the Temecula Valley. Okay, back to the food! 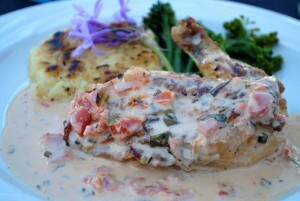 Chef wowed us with an Oven Roasted Natural Chicken Breast with roasted tomato garden herb sauce. The chicken was tender and flavorful and the sauce was the definition of why I love Pickell’s food. Bright, beautiful seasonal ingredients always equal amazing flavor and texture. This dish was perfectly matched with the 2007 Huis Zinfandel. With big berry fruit and a smokey richness, this wine also pairs well with the Fried Green Tomato BLT on the Cafe Champagne lunch menu. 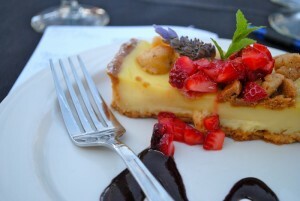 A dessert of Lemon Rosemary Tart with fresh strawberry compote paired with the 2007 Rose rounded out our meal. I always say I am not a dessert person, but somehow I managed to eat every bite! The rosemary, lemon and berries were so fresh and light that Katie Vergari joked we could just call it another salad course and feel quite righteous for skipping dessert. 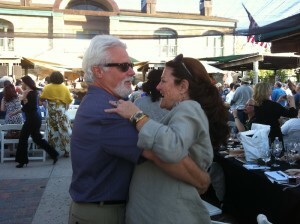 As we finished our meal, Jesse Cook called us all to our feet for a Rumba party, a perfect way to complete our evening. So with bellies happy and hearts full, we moved to the music filling the gorgeous fountain terrace. Exceptional food and wine paired with world class live jazz? 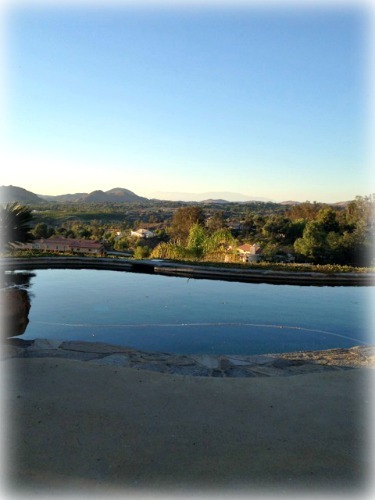 I cannot think of a better way or place to spend a gorgeous Temecula afternoon. Next ArticleWomen’s Wine Council – Oh, Bordeaux!